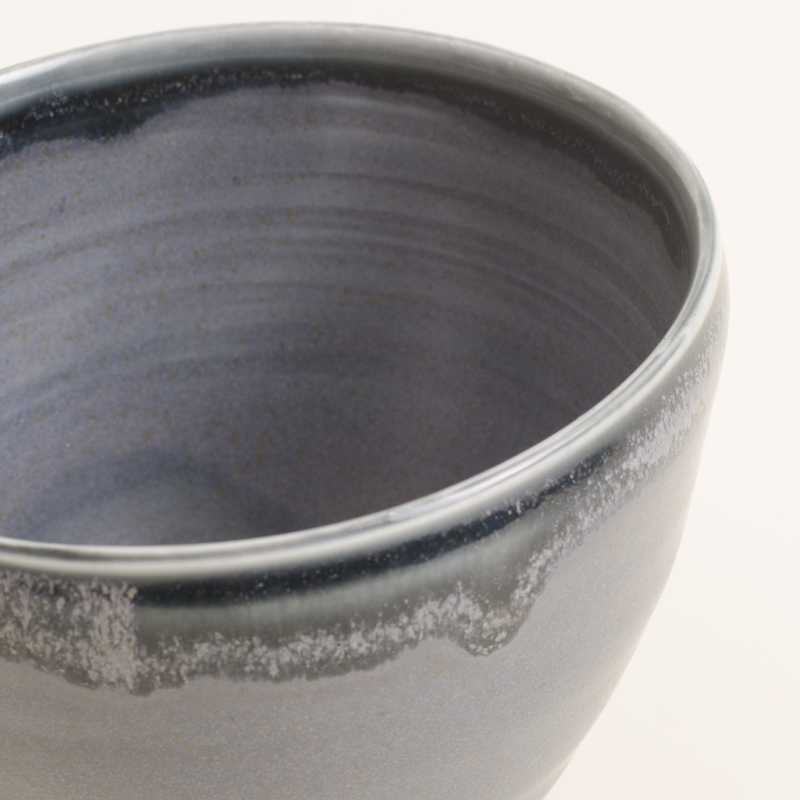 Tactile hand-thrown reactive glaze porcelain bowl. 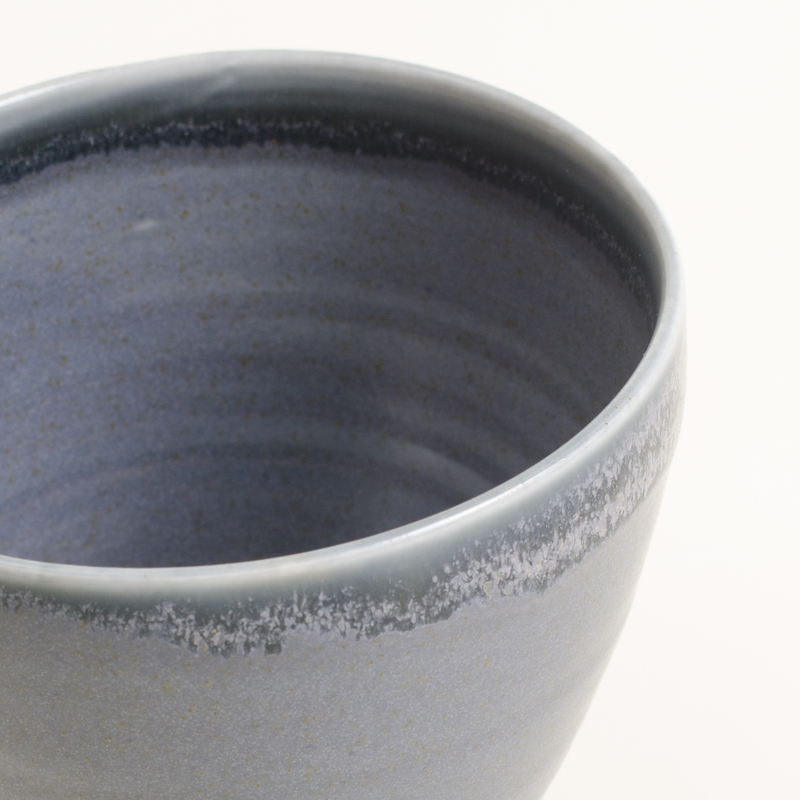 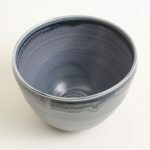 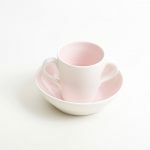 Thrown on the wheel in porcelain with a tactile satin matt glaze. 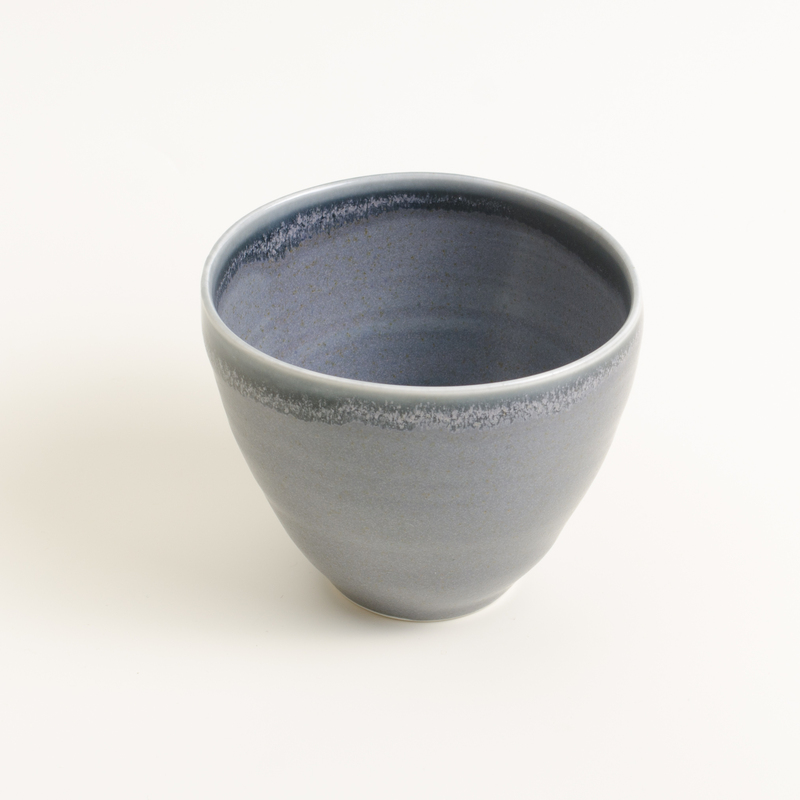 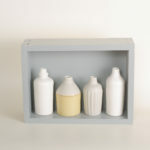 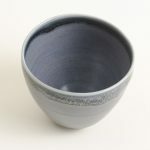 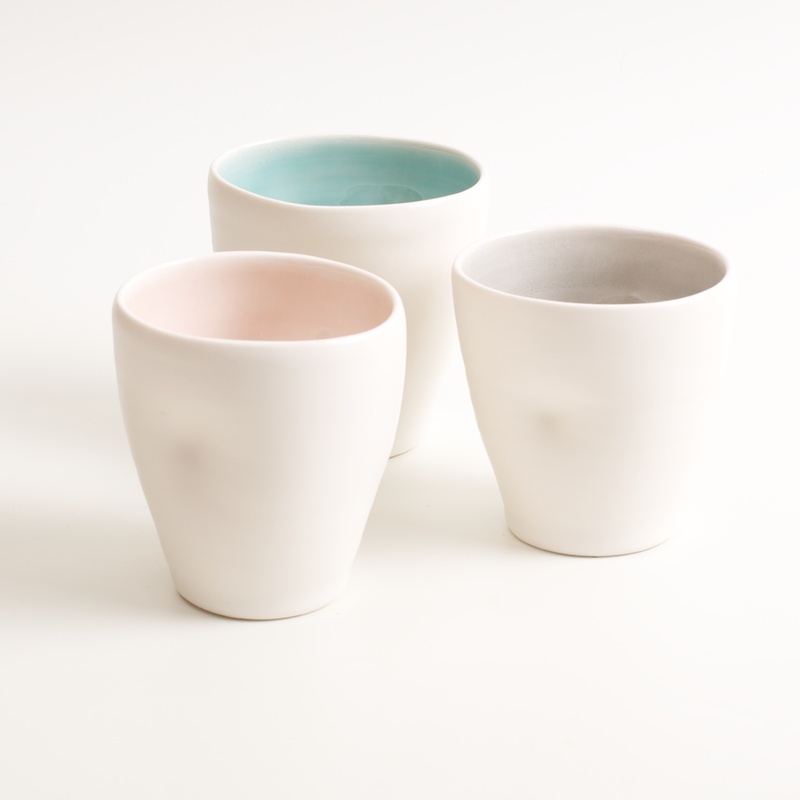 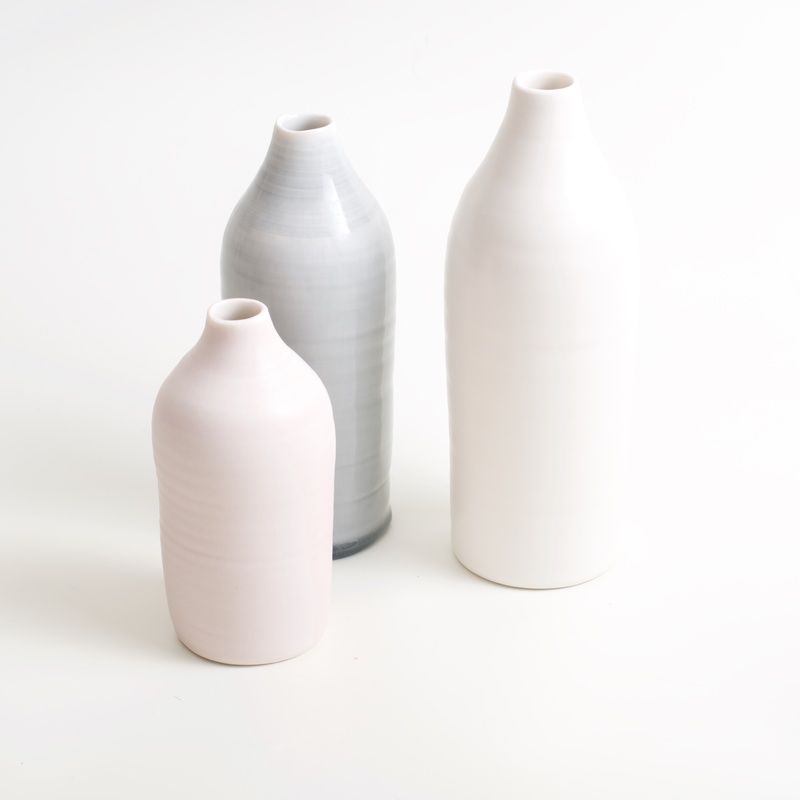 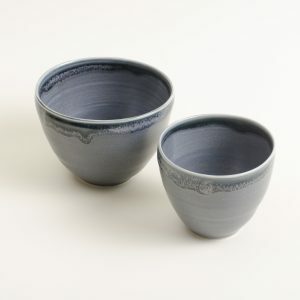 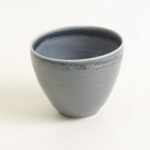 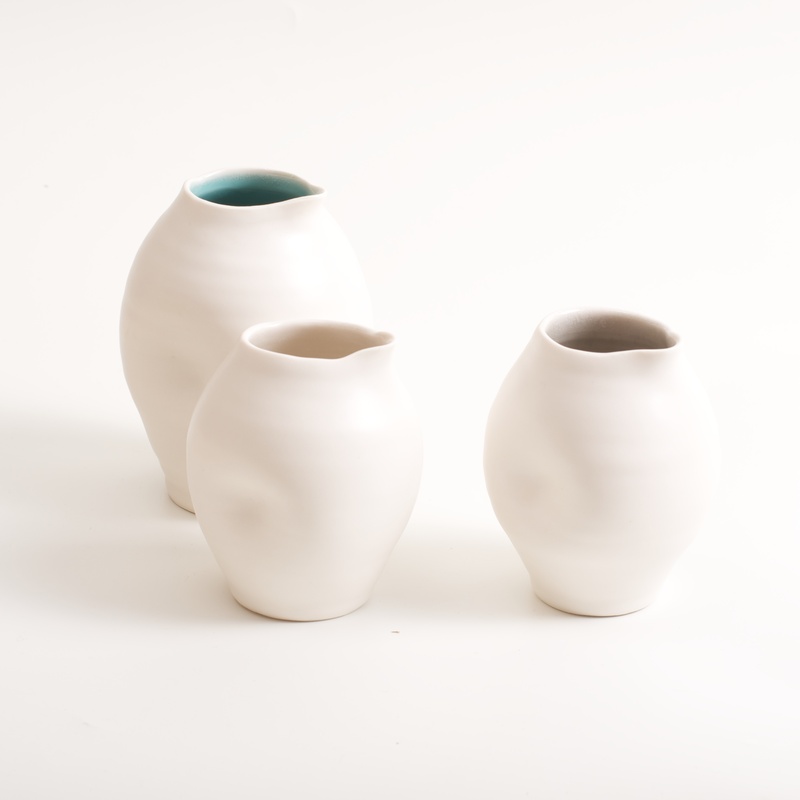 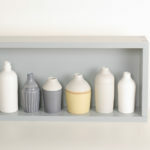 The reactive glazes are made in the studio to her unique recipes. 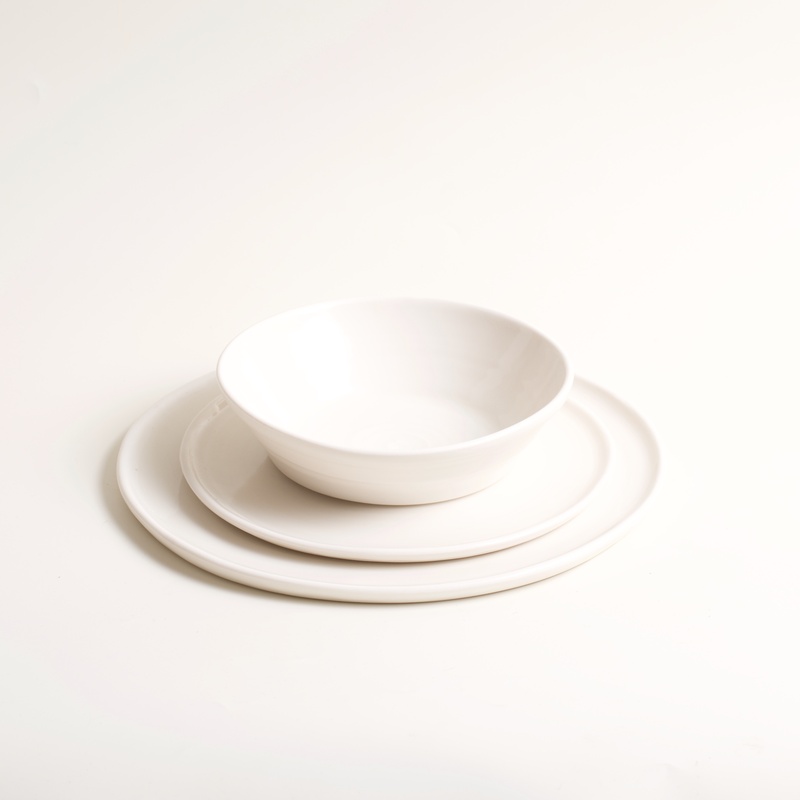 The small bowl can be used for icecream, nuts or olives, the medium bowl is for soup or cereal. 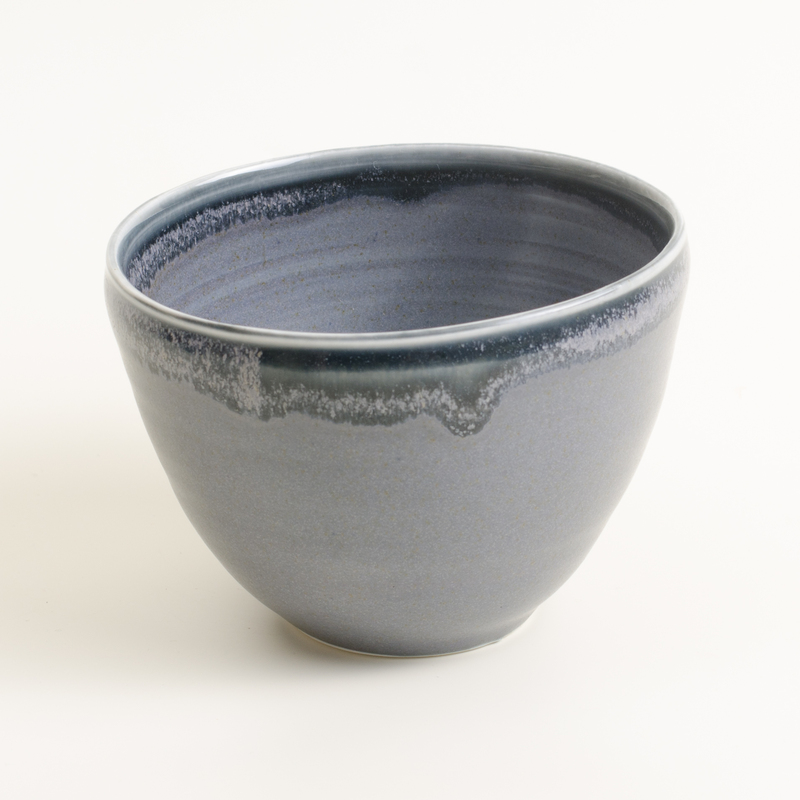 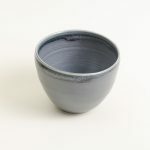 Available in midnight blue-black with a tactile satin matt glaze on the outside. 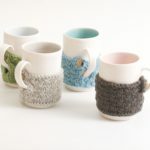 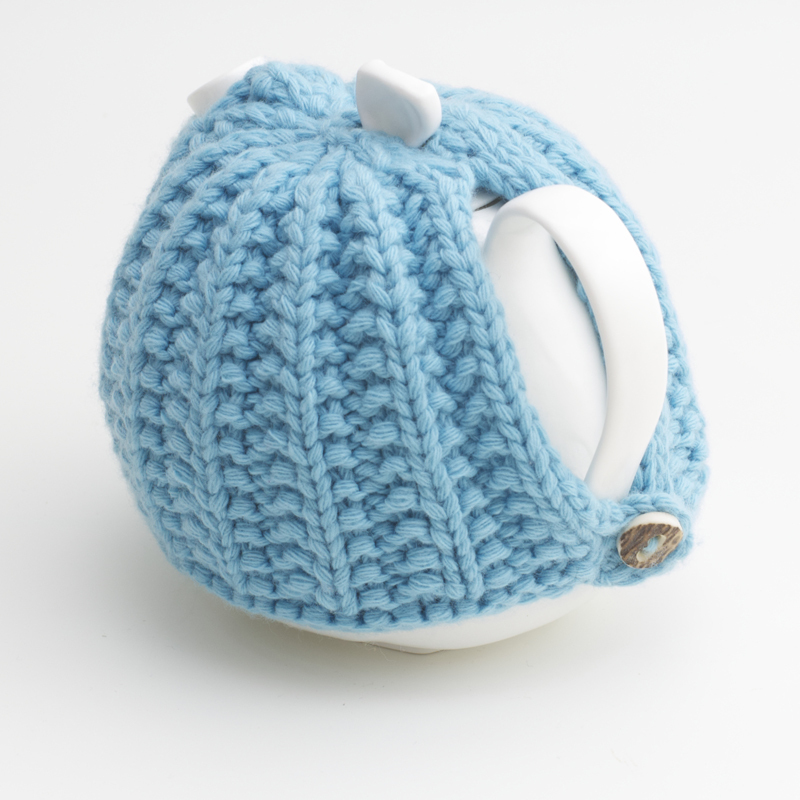 Please note that these are handmade products and may vary slightly from the ones shown. Large, width 22cm depth 10cm.